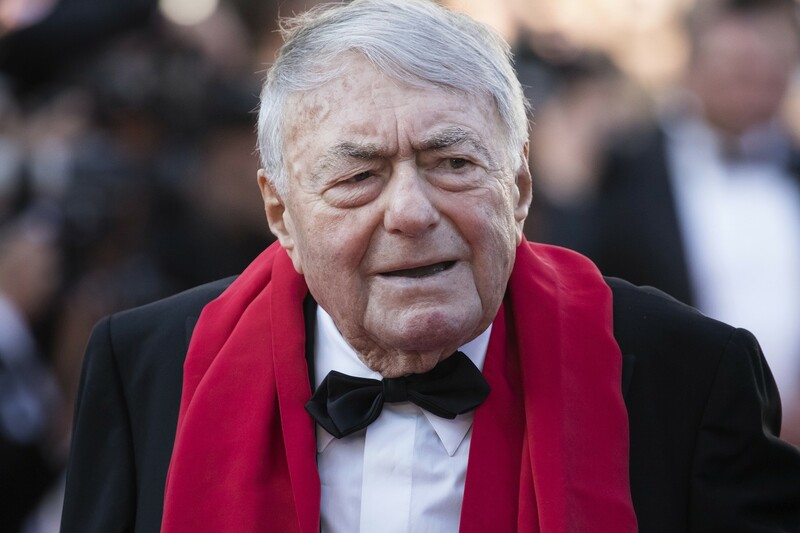 Claude Lanzmann was mostly amused by the “truckloads of calumny” unloaded across the front pages of the livid Polish press after the 1985 release of his nine-and-a-half hour landmark “Shoah” documentary. Preoccupied with raising money for further copies of his pioneering cinematic masterpiece on the genocide of six million Jews during the Holocaust — and pressed with a sense of urgency to disseminate the accounts of the survivors — the French Jewish journalist and filmmaker had casually shrugged off the torrential, raging criticism emerging from then-Communist Warsaw. Lanzmann died on Thursday at the age of 92, some 33 years after he first cast his lens on many ordinary Poles, offering up some piercing accounts of horrific wartime actions and deeply rooted anti-Semitism, and violently upending narratives of untarnished Polish victimhood. The Yad Vashem Holocaust memorial center on Thursday slammed an agreement between the governments of Israel and Poland regarding the latter’s record during the Holocaust, saying it would stifle free research on the subject. A joint declaration issued by Warsaw and Jerusalem “contains highly problematic wording that contradicts existing and accepted historical knowledge in this field,” the institution said in a press release. On Thursday, Yad Vashem released a long press release in which its historians detail why they not only contest the joint statement’s historical veracity, but are also dissatisfied with the Polish amendment to the controversial law. “A thorough review by Yad Vashem historians shows that the historical assertions, presented as unchallenged facts, in the joint statement contain grave errors and deceptions, and that the essence of the statute remains unchanged even after the repeal of the aforementioned sections, including the possibility of real harm to researchers, unimpeded research, and the historical memory of the Holocaust,” the statement read. Indeed, the statement “contains highly problematic wording that contradicts existing and accepted historical knowledge in this field,” the statement continued. Education Minister Naftali Bennett on Thursday led a chorus of widespread condemnation for a joint Israeli-Polish declaration signed by the two nations’ prime ministers that appears to accept Poland’s official position that it is not responsible for the crimes of the Holocaust. The outrage from across the political spectrum came following a statement from the Yad Vashem Holocaust memorial center saying it would stifle free research on the subject. What accounts for the dissimilarity in the responses of students whose itinerary brings them to Efrat for only a lecture, the Boston College group being only an extreme example, and those who remain for a Shabbat weekend? Both are familiar with Israel being publicly censured in mainstream and social media. Both have been exposed to readings in which Israel is accused of practicing apartheid, ethnic cleansing, and genocide. Both arrive in Efrat influenced by previous meetings with Arab and Israeli speakers on the far political left. Student groups making only a short call at what is, in their eyes, a “settlement” such as Efrat are virtually fated to leave with the same opinions they had when they arrived. Their visits are too circumscribed to facilitate the type of social interaction with residents that with sufficient time can engender trust and credibility. Without developing trust and credibility in the people they meet, the students remain resistant to allowing any contradictory information to alter their world view. Both types of visits point to the importance of emotions in shaping people’s political views, a fundamental principle for those engaged in Israel advocacy. The pathos engendered in visitors taken to witness the squalor of a Palestinian refugee camp or the overshadowing presence of “The Wall” is calculated to elicit strong sympathy for the condition of the Palestinians, especially when these experiences are presented from the Palestinian perspective of victimhood. It is easy to understand how, following these experiences, a frontal lecture by an anonymous settler who insists on the ancient historical and modern legal rights of the Jewish people to Judea and Samaria or, even less relevant, being shown a PowerPoint presentation that boasts of Israel’s high-tech achievements, might fall on deaf ears and even rankle a group of compassionate foreign visitors. Pro-Palestinian ideologues and the Palestinian Authority long ago learned that the mind follows the heart and not the other way around. Israel Ministry of Foreign Affairs, take note. On our seventh full day in Israel, we’re touring the border wall and security fence in Israel. Contrary to what you may have heard about this wall and the checkpoint that was designed to maintain the dignity of the thousands of people that pass through it every day while keeping every one safe, the only ones suffering from apartheid are the IDF soldiers. For the first time, the European Union is coming out against the Palestinian Authority’s policy of paying terrorists who attacked Israelis, known as “pay to slay,” Israel Hayom reported. Following the Knesset’s passage this week of the “Pay to Slay Law,” which withholds tax revenues from the PA as long as it continues its “pay to slay” policy, European officials told Israel Hayom, "We do not believe that violence is worthy of any encouragement or reward, but on the contrary, it must be prevented and condemned." The European Union has reportedly said that it will begin discussions with the Palestinian Authority on the issue. "The payment system for Palestinian prisoners, former prisoners and their families is part of the EU's political dialogue with the Palestinian Authority being carried out at the highest levels," the European statement said, according to Israel Hayom. This week, a delegation of senior EU officials is touring Israel and the Palestinian Authority. The delegation includes, among others, the Director-General for EU Neighborhood and Enlargement program at the European Commission, Christian Danielsson. Within the framework of the program, the Europeans give the PA billions of euros every year. The delegation will meet with leaders of the Palestinian Authority and senior Israeli officials. The European officials will reportedly check with the PA whether the European money is being used properly. The EU stresses that it will not reduce the large-scale economic aid granted to the PA, but would like to examine "whether the financial support is as effective and efficient as possible in order to advance the two-state solution." 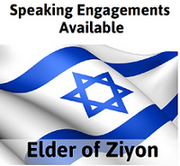 - Denying the Jewish people their right to self-determination (e.g. by claiming that the existence of a State of Israel is a racist endeavour). - Applying double standards by requiring of Israel a behaviour not expected or demanded of any other democratic nation. A left wing activist who defended Ken Livingstone after he likened a Jewish reporter to a concentration camp guard will now oversee Labour’s disciplinary cases, including ones relating to antisemitism. Claudia Webbe, an Islington councillor and close ally of Jeremy Corbyn, was elected chair of the party’s disputes panel on Tuesday during a meeting of its national executive committee (NEC) equalities group. The previous disputes panel chair, Christine Shawcroft, stood down from the NEC after a leaked email revealed she backed a party member who was suspended over alleged Holocaust denial. Ms Webbe’s own past record on issues involving the Jewish community has already caused concern. Richard Angell, director of the centrist Labour group Progress said: “Claudia’s chairing of Labour party conference allowed antisemitic tropes to be uttered unchallenged at last year’s event in Brighton. The Crown Prosecution Service (CPS) has moved to block Campaign Against Antisemitism (CAA) from privately prosecuting Nazim Ali, the leader of the annual “Al Quds Day” pro-Hizballah parade through central London. The parade is notorious for the crowds of demonstrators who march through London in support of the terrorist organisation, which seeks the murder of all Jews worldwide, carrying out bombings worldwide, including two in London. The CPS declined to prosecute Mr Ali last year and that is why CAA had to launch our private prosecution. Not only did the CPS refuse to do its job and uphold the law by prosecuting Mr Ali, now it is blocking CAA from doing so privately. The CPS has done this by using its statutory power to take over our private prosecution and then discontinue it just days before Mr Ali was due to face CAA’s lawyers at City of London Magistrates’ Court on Monday. Despite prosecuting many thousands of hate crimes each year, the CPS has not yet been known to conduct more than two dozen prosecutions of antisemitic hate crimes in any year. Last month, the University of California at Berkeley hosted the annual conference of the Association of Israel Studies. The fact that the professional meeting of Israel scholars was held there is a testament to the Berkeley faculty, who have built one of the premier Israel Studies programs in the country. What they have done demonstrates that campuses can and do change with the proper motivation and funding, and that analyses of the campus climate toward Israel that ignore these positive developments are misleading the Jewish community. Many people who talk about the BDS movement and antisemitism, and claim the situation today is worse than ever have no historical memory. The battles on campus did not begin with Students for Justice in Palestine or the divestment movement. In fact, they have been going on since the 1960s, and Berkeley has long been considered ground zero for Israel’s detractors. I can speak from my personal experience at Berkeley in the early 1980s, when I was a graduate student. 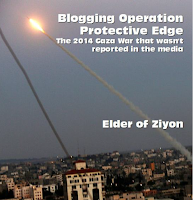 An undergraduate friend and I restarted a moribund Israel Action Committee. We had the support and encouragement of our Hillel director, but only a handful of Jewish students participated in our activities. Usually, I sat in Sproul Plaza by myself with a card table draped with an Israeli flag and some material from the Israeli consulate highlighting positive aspects of Israel, as well as the PLO’s role in terrorism. The Muslim Students Association set up its table next to me. They had a placard that said “Zionism = Racism” and handed out highlights of the Protocols of the Elders of Zion. This was also the time of the first Lebanon War, so anti-Israel protestors marched in front of me. Alexandria Ocasio-Cortez, winner of a surprise upset in the primary for New York's 14th Congressional District, asserted in an interview with Al Jazeera that her tweet characterizing the IDF's response to Gaza protests as a "massacre" was "not about nationality" but just about a "tragic" event. In the interview, which aired on the Qatari-owned network's social media channel AJ+, she said the tweet was "not just about nationality." It's about people who are unarmed who are killed. If 60 people were shot and killed in Ferguson, if 60 people were shot and killed in Puerto Rico, if 60 people were shot and killed in the South Bronx. It's tragic. It's tragic," she said, referring to a racial unrest outside of St. Louis, Missouri, a hurricane in the Caribbean and her place of birth, respectively. 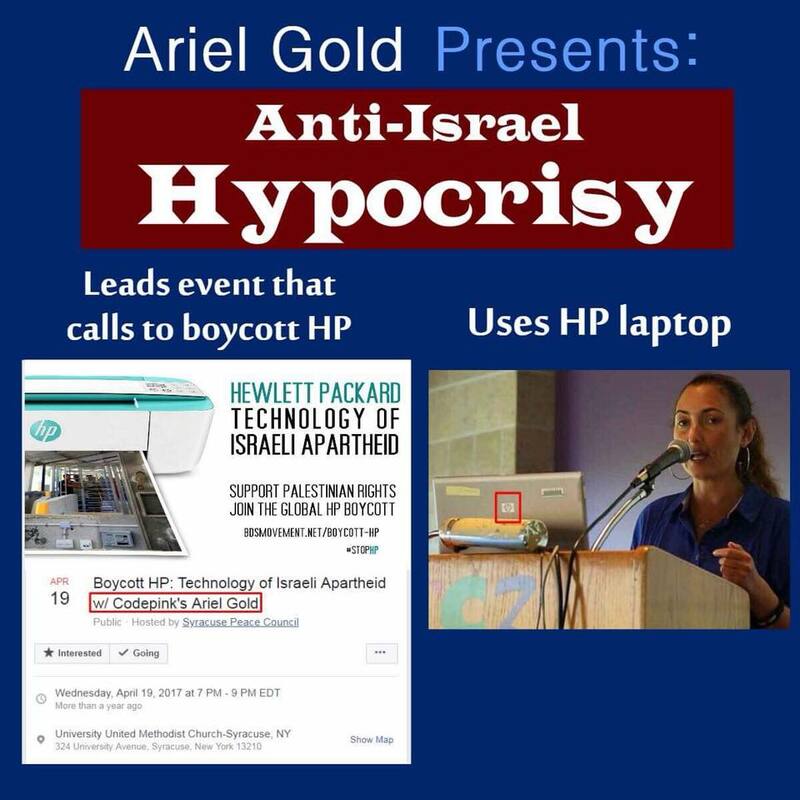 She drew attention from foreign policy circles upon her upset victory for a single tweet on Israel she published during her campaign, in which she characterized the killing of over 60 Palestinians on the Gazan border last month as a "massacre" and demanded congressional attention. 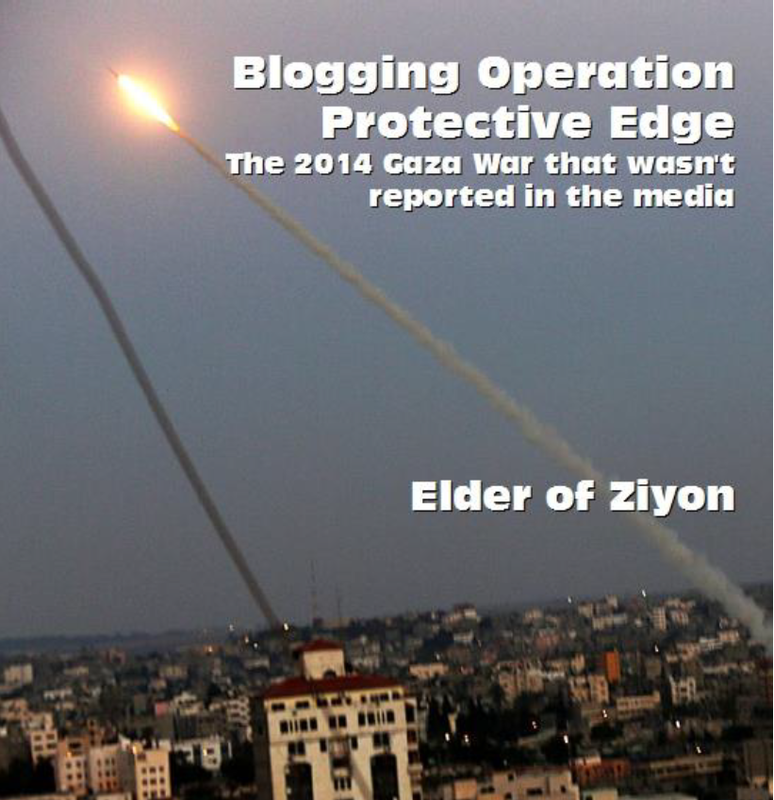 The interview overlaid videos of protesters near the Gaza border fence with tear gas canisters raining down, Palestinian Red Crescent ambulances and injured Gazans. Daphne Anson: "We Reject Extremists who work with the New Israel Fund and Boycotts of Israel"
The governor of Illinois has called on a neo-Nazi candidate for a Chicago-area congressional seat to drop out of the race. US Supreme Court Justice Ruth Bader Ginsburg received a lifetime achievement award Wednesday from The Genesis Prize Foundation at a special ceremony held in Tel Aviv. Ginsburg cited Holocaust diarist Anne Frank among others in a speech at a ceremony in Tel Aviv that touched on her fight for women’s rights and drew heavy references from Jewish traditions and history. Ginsburg, 85, has served on the Supreme Court since 1993. She was the second female justice and often cites her Jewish heritage as a source for her love of learning and sensitivity to the plight of oppressed minorities. “When I became active in the movement to open doors to women, enabling them to enter occupations once closed to them — lawyering and judging, bartending, policing, and firefighting, for example — I was heartened by the words of a girl of my generation,” Ginsburg said, referring to Anne Frank, who questioned gender inequality in her writings. Israel is the most fertile country in the OECD, according to a report. The latest Organization for Economic Co-operation and Development report surveys data from 2016, during which the average number of births per woman was 3.1, surpassing the two second most fertile countries, Saudi Arabia and South Africa. Both of those countries had 2.5 births per woman, leaving a much larger gap than between those two countries, and the next two, Indonesia and Peru which both had 2.4 births per woman. The average among OECD countries in 2016 was 1.7. Israel also had among the lowest suicide rates, with 5.5 suicides per 100,000 residents in 2014, the latest available data. The report also forecasted good economic growth for Israel, which tied for ninth highest economic growth with Latvia, with a 3.6% projected annual growth rate in 2019. Comparatively, the worldwide international growth rate in 2019 is predicted to be 3.9% while the OECD growth rate is predicted to be 2.5%. Israel has 3.1 physicians per 1,000 people, a fairly average rate, compared to the OECD average of 3.3 per 1,000 residents, but just 4.9 nurses per 1,000 people, compared to an OECD average of 9.3 nurses. The woman who intimately knew the scribes of the Dead Sea Scrolls, foremost paleographer Dr. Ada Yardeni, died in Jerusalem on June 29, 2018, following a brief battle against pancreatic cancer. “Dr. Ada Yardeni was one of the greatest researchers in Semitic paleography and epigraphy, and her decipherment and illumination of the Dead Sea scrolls (as well as of many other texts) are fundamental and enduring,” wrote Hebrew University Bible and Talmud Prof. Menahem Kister in announcing Yardeni’s death to faculty this week. Widowed young, Yardeni is survived by two daughters and an impressively vast corpus of popular and academic work. Yardeni has author credit for 59 articles and nine books, and calligraphed several children’s books in the 1960s. Among her numerous publications, the best known is 1991’s “The Book of Hebrew Script,” a definitive introduction to the origin and evolution of the Hebrew Script. A new book on the history and development of the Hebrew alphabet will be published posthumously in the coming months by Israeli publishing house Carta, said a colleague, Hebrew University Classics Prof. Hannah M. Cotton-Paltiel. Trained at the Bezalel Academy of Arts and Design, early in her career she worked as a graphic designer. This foundation in the arts paved the way for her later scholarly work as a paleographer of ancient Semitic scripts. She deciphered some of the most important ancient primary sources found in Israel. Among her most well-known texts are the Ketef Hinnom Priestly Benediction (the earliest material evidence for any part of the Hebrew Bible), as well as extensive work on the Dead Sea Scrolls. 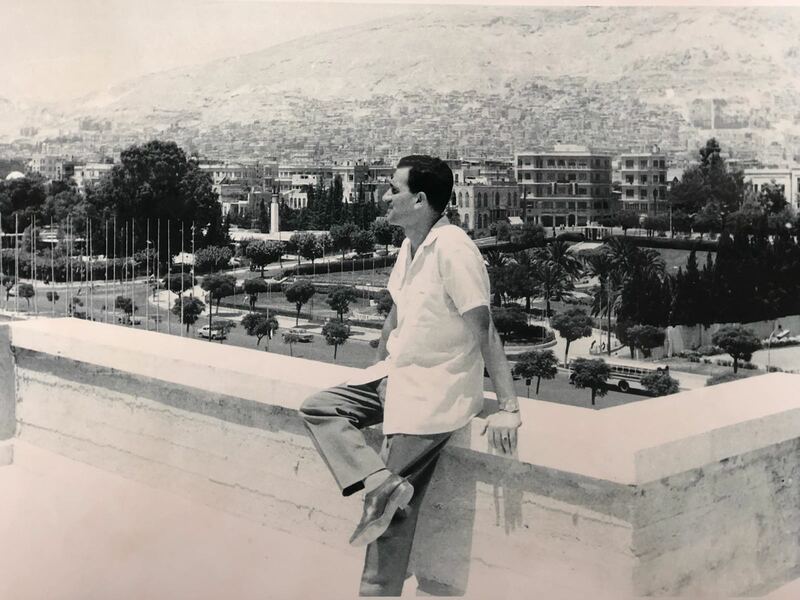 The Mossad agency has recovered a wristwatch belonging to legendary Israeli spy Eli Cohen who executed in Syria, and brought it back to Israel after a recent special operation, the Prime Minister’s Office announced Thursday. Mossad chief Yossi Cohen presented the watch to Eli Cohen’s family a few weeks ago at a ceremony marking the anniversary of his death. It will be displayed at the Mossad headquarters for the next few weeks “in memory of the legendary warrior,” and on Rosh Hashana it will be returned to the family, the statement said. Cohen was executed by Syria in 1965, and his watch was held “by an enemy state” ever since, the PMO said, without giving details. Once the watch was brought back to Israel, special research and intelligence operations determined unequivocally that it was the watch that had belonged to the spy.